Cette page est en cours de traduction, soyez patient ou contribuez !. Les "Points de Passage" sont des symboles graphiques disposés sur le panneau de l'Timetrack. Chaque fois que la valeur d'un paramètre est modifiée en mode édition de l'animation, un Point de Passage vas être créé. For example, when you adjust a "Tangent" Poignée of a vertex in a Spline, a "Waypoint" will be created to note the change. However, you didn't really adjust the tangent, you adjusted the two parameters which define the tangent: its angle ("Theta"), and its length ("Radius"). Opening up the tangent's nodes in the Panneau Paramètres will show that "Waypoints" have been created against each of these 2 parameters. Only the first 2 of these are 'leaf waypoints' - the rest are parents (and grandparents, etc) of these 2 waypoints. As things currently stand, it is only possible to delete one leaf waypoint at a time. If, for example, you want to delete the change made to the "Tangent" Handle above, you'll need to open up the tangent and delete both the "Theta" and "Radius" Waypoints. The ability to delete whole trees of waypoints with a single click would be useful, as would the ability to select multiple waypoints at once, and operate upon them en masse. Waypoints can be dragged left or right with the left mouse button to change the time at which they act upon their parameter(s). If you drag a parent's Waypoint, all its child Waypoints will move with it. You can select multiple Waypoints using CtrlClick, and then they can be dragged left or right has moving single waypoint. "Jump to": Set the current time to be the time of the waypoint. 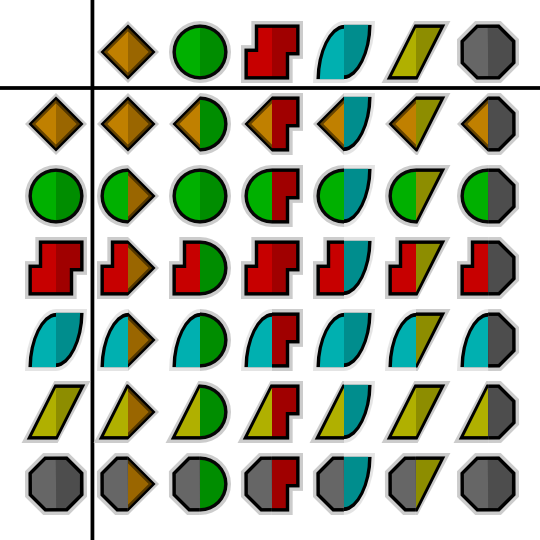 "Duplicate": Only appears for single-leaf Waypoints. Creates a copy of the current Waypoint at the currently selected time. "Remove": Only appears for single-leaf waypoints. Deletes the Waypoint. "Remove n Waypoints": Only appears for multi-leaf waypoints. Deletes the n Waypoints. "Edit": Only appears for single-leaf Waypoints. TODO: writeme (brings up a dialog allowing various parameters to be set). "Both". : Allows you to change the "In" and "Out" interpolation setting for the Waypoint and all its children. "In". : Allows you to change the "In" interpolation setting for the Waypoint and all its children. "Out". : Allows you to change the "Out" interpolation setting for the Waypoint and all its children. If the Waypoint is Linked other menu entries related to the link will appear up to those one. The default type of interpolation for new waypoints is defined by a dropdown list at bottom of the Fenêtre Canevas. It is possible to fix interpolation by parameter. Right-click any parameter and choose its default interpolation from a submenu. The defined interpolation is indicated in the Panneau Paramètres with corresponding icon near the parameter value. Each Waypoint has an "In" and an "Out" interpolation setting, which determines the manner in which its parameter changes - whether it changes linearly over time, or follows a curve. TCB Smooth: If you imagine a graph of the parameter's value against time, using the TCB interpolation type will fit a smooth curve between adjacent waypoints, much like the Outil Spline fits smooth curves between adjacent spline vertices. Clamped: Acts like TCB interpolation, but never "overshoots" (or "undershoots") the values you set in the Panneau Paramètres. Ease In/Out: The graph is horizontal as it leaves the Waypoint. Linear: The graph of parameter value against time is a straight line. Undefined: This is only shown for multi-leaf Waypoints, where there is more than one different interpolation type amongst its leaf Waypoints. In the chart above the "In" interpolation is shown on the left, and the "Out" interpolation is shown across the top. The 'undefined' (grey) symbol is used when the row in the Time Track Panel represents multiple Waypoints. For example, the 'vertices' row represents all the vertices making up a Spline. Each of those vertices can have multiple Waypoints, each with different interpolations. If all the interpolations are the same, that interpolation's symbol will be used. Otherwise, the grey 'undefined' symbol is used. Look at the Waypoints below. They are from the Timetrack for the "Vertices" of an Calque de Contour. You'll see the left side of each of the Waypoints is colored. This means the "In" interpolation for each vertex is the same. However, the right side is grey, indicating that the "Out" interpolation for each vertex differs. TODO: rewrite the above so it doesn't hurt the brain so much. Interested in futur things ? [voir lien page anglaise Waypoints ... what could be the future of...? ] in the synfig forum. This page was last modified on 3 March 2016, at 13:04.